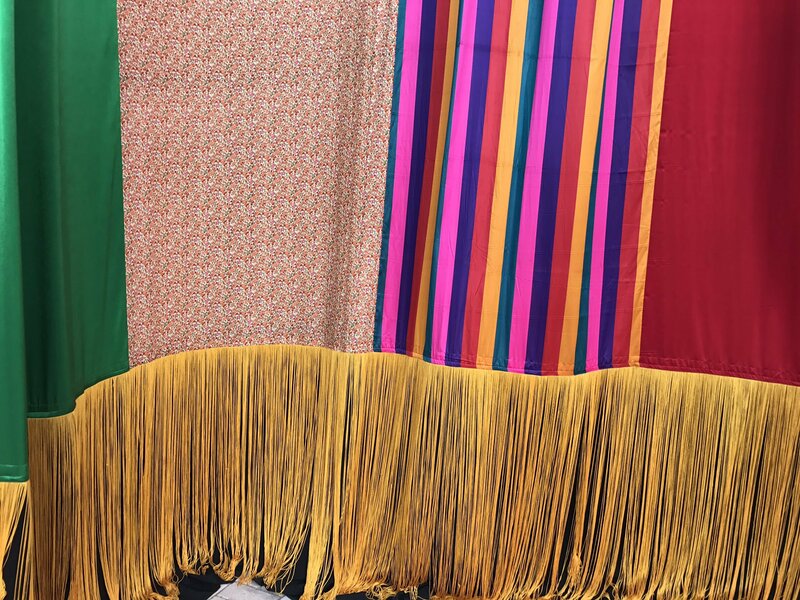 For his Sharjah Biennial 13 project, artist and composer Joe Namy’s has researched the influence of opera on music in the Arab world. 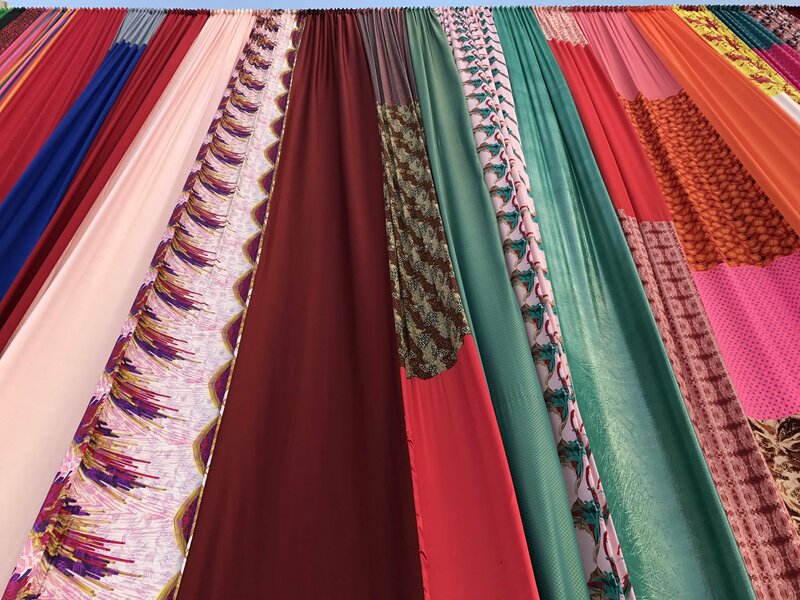 Starting in Egypt with the founding of the Khedivial Opera House1 in 1869, he has found traces of the art form in Lebanon, Palestine, Kuwait, and more recently, the United Arab Emirates. 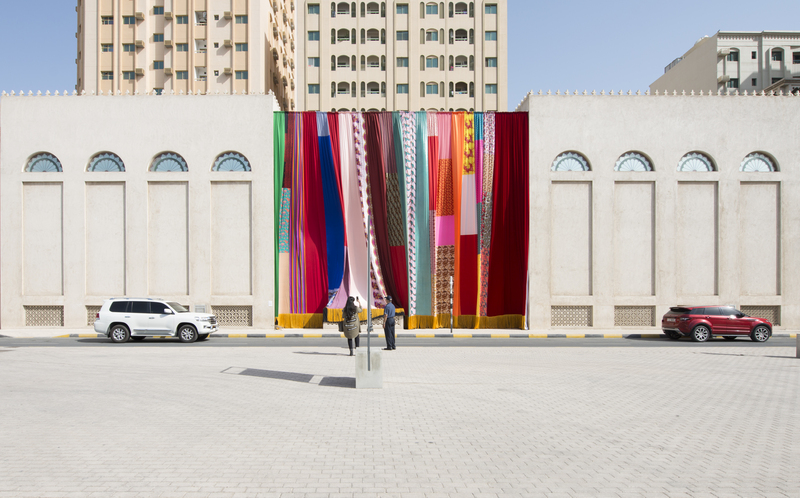 Libretto-o-o: A Curtain Design in the Bright Sunshine Heavy with Love, 2017 punctuates Sharjah Art Museum’s façade with a vibrant patchwork of fabrics that evoke garments used for celebration, mourning and everyday wear. 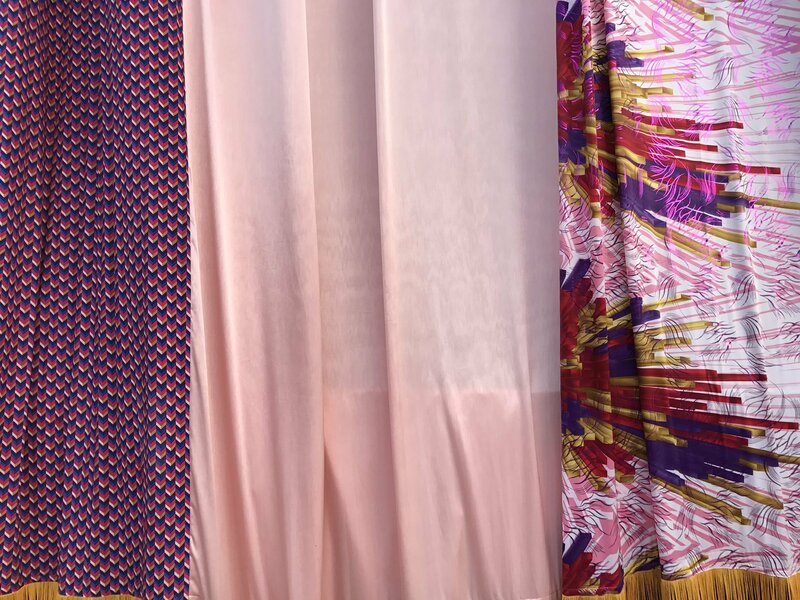 These fabrics have been purchased from shops around Sharjah Art Foundation and sewn together by local tailors. 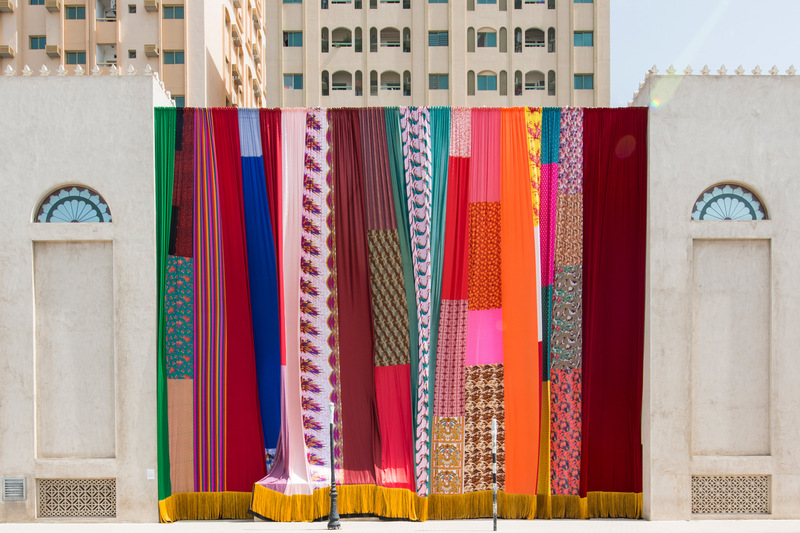 The dramatic play of color and pattern sets the stage for an audio track, located in Bait Al Serkal, comprised of short stories, poems and essays on the subject of opera that are read by five writers and poets. In a departure from the spectacle-driven pageantry that is typical of operatic productions, Namy’s visual and sonic composition inspires a contemplative sense of occasion that resonates with its surroundings. 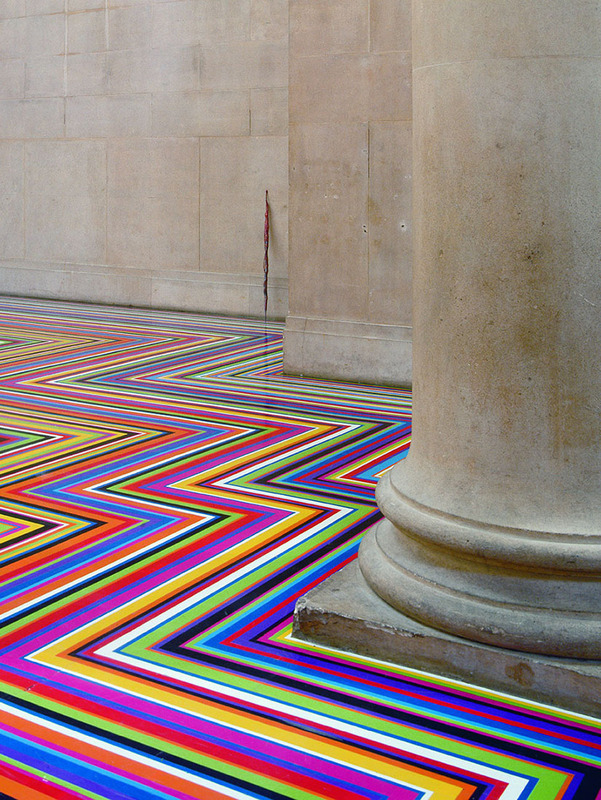 All images by Joseph Namy/olivetones.com & Sharjah Art Foundation/sharjahart.org unless otherwise noted. 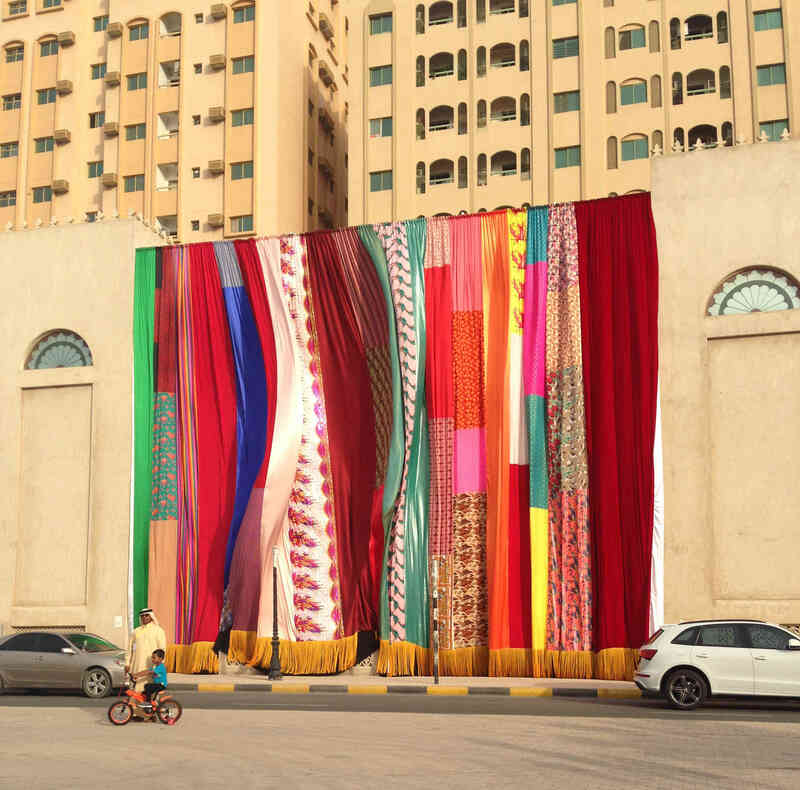 Posted on October 23, 2017	in the category Installation and tagged fabrics, Joe Namy, opera, Sharjah Art Museum, Sharjah Biennial, United Arab Emirates. 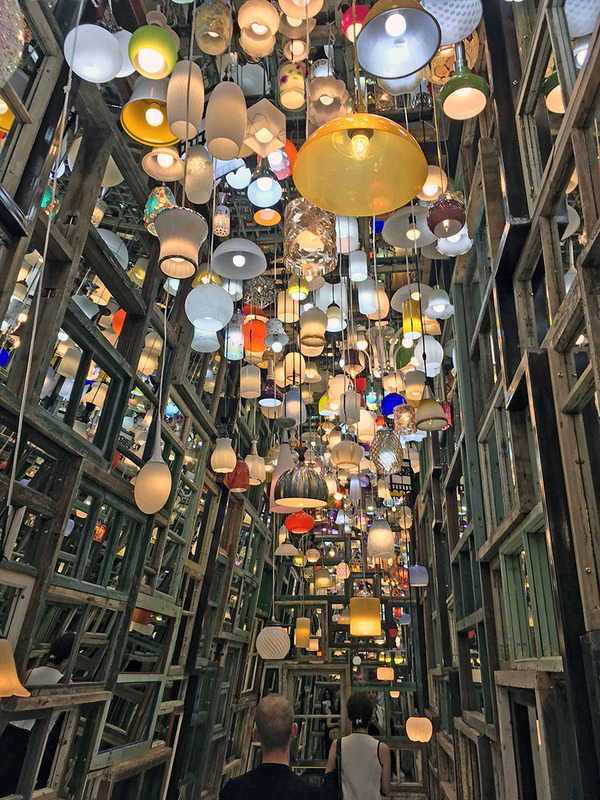 4 Responses to "Joe Namy’s colorful & oversized curtain partly covers museum"